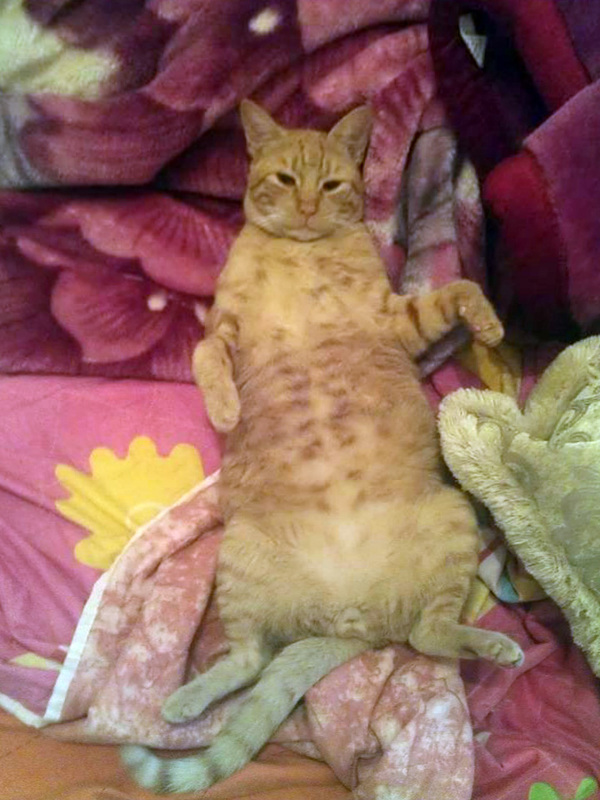 Peto came to AZI in November 2012 as a kitten. He was brought to the center because he had a fishing line wrapped tightly around his leg causing him pain. The fishing line was removed by the vet and he was adopted January 2013. Below, you can see how comfortable and content he is now in his new home in Athens.